Fire is friendly when used with utmost care but it is often destructive when not handled properly. A combination of oxygen, heat and fuel is required to ignite a flame. Fire gathers oxygen from the air around it; and the more oxygen the fire gathers, the fiercer it becomes. A fire needs fuel to grow. Fuel is an object that burns. Heat is the required temperature to ignite the fuel into flames. When the heat is transferred to the fuel through heat waves and rays, these waves warm the fuel; and when the fuel gets hot enough, it can ignite itself. Electricity causes severe fire damages. When an electrical circuit becomes overloaded, it begins sparking and causes fire into the contents of the building and surrounding. Electric heaters are a concern during the winter if they are placed near clothes and flammable objects. 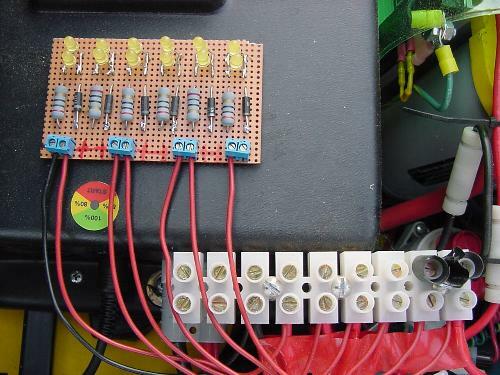 Over heated plugs, sockets and the blown fuses can also start fire. Also “Lighting” can ignite the fuel. If the lighting having intense heat strikes any fuel, it sets the object on fire. Flammable chemicals can cause the fire. Fire may break out during chemical experiments made in the labs. Household chemicals such as turpentine oil, floor cleaners or insecticides may get ignited when they are left carelessly. An open can of flammable liquids such as varnish, petrol, kerosene oil etc. can result into dense fire. Friction ignites the fire. When two things are rubbed against each other, they generate heat and eventually cause the fire. For example when you rub your hands in the winter, you make them warm. A meteor in the space burns up due to friction against the air. 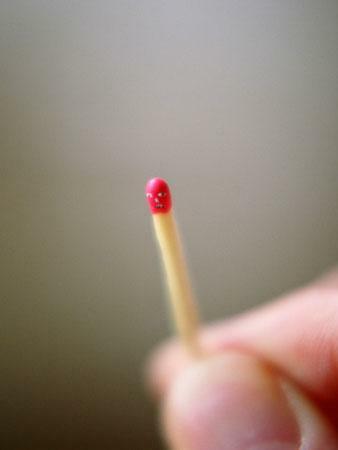 If you strike a stick on the match box, it gets ignited. Cooking stoves are the main cause of fires. This fire often breaks out due to unattended cooking rather than mechanical failures of stoves. Oil and ghee (fat) are common causes of fire in the kitchen and they can set the whole kitchen on fire if not treated properly. Basement and garage usually provide storage for rags, papers, worn out electric cords; plastic boxes etc. Many electric fires occur in these areas. These items should be treated immediately. Some other concerns are combustible items such as wallpaper, curtains, and clothing which are left unattended around the heater. The tiny flame of a candle can also do big damage if not handled properly. Candle related fire starts due to draughts that catch burnable objects towards the candle. Careless smoking causes the fire. The cigarette starts fire if it’s not put out completely. The famous california fire which damaged several acres of forest was also started by a cigerette. Falling asleep while smoking can also result into serious fire damages. Arson is major reason of residential fire which results into the deaths. It’s the second largest cause of residential fires. NOTE: Besides the above mentioned objects, some other facts like spontaneous combustion, open flames and sparks, chimneys and fuels, children playing with matches can cause the fire. Install a fire extinguisher in or near your kitchen. Fire extinguisher is a protective device used to control fire. It is often extinguishes fire in emergency conditions. Some fire extinguishers are following. CO2 extinguishers are useful for short distances i.e. from 3 to 8 feet. Carbon dioxide, a non-flammable gas, is stored as a compressed liquid in the extinguisher. It cools the surrounding air as it expands. The cooling air often causes ice to form near the surface where the gas is expelled from the extinguisher. Such extinguishers should be installed in the kitchen, garage or workshop. You should know the functionality of the extinguisher very well to stop any mishap caused by fire. Halon extinguishers are used to protect electrical equipments. The gas contained in these extinguishers stops the chemical reaction that takes place when the fuel burns. They usually range from 4 to 6 feet. Water extinguisher uses water and compressed gas to blow out ordinary types of fire. It may be one option to dump water on the fire but it is not always the best option in case live electric wires are involved. Fire Blanket is safety device used to extinguish small fires in early stage. Fire blanket covers the burning object completely and makes a solid surface around the fire. 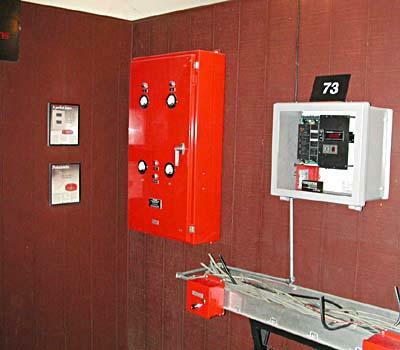 Set a fire alarm on Fire Control Panel which detects fire and signals to fire services. Fire Service or Master Control traces the exact location of fire alarm on a building map and put out the fire. “Manual pull-type alarm” should be located at the places such as Master Control, Generator Building, Fire Pump Room, Corridor, Recreation Room, Library, and Kitchen. Never let anyone play with matches, lighters and other the fire sources which can cause fire and damage the property. Keep them away from fireplaces, and stoves or ovens. Children are often responsible for most of the fires caused by such negligience. If you see the smoke coming from the cracks around the door, do not open the door. Check whether the doorknob is warm. Do not touch the door if it is very hot. Quickly shut the opened door if you feel a burst of heat. Try to escape through the door that leads to the outside. But it is necessary to know about the doors’ functionality. Even the windows on a higher floor can be escape routes. Open the window and stand in front of it. Put a piece of clothing or a towel over your mouth to keep smoke away from breathing in. Never hide under the bed or in a closet. Firefighters and the elders will have a hard time to search for you. They shall get you out of the fireplace as soon as they find you. Do not run in case your clothes catch the fire. Instead of running away, stop and lie on the ground and then roll covering your face with your hands. This will cut off the air and put out the flames. Learn the procedure easily with “Stop, Lie and Roll”. It’s always better to make perfect practice to save from the fire. “Fire Drill” at home gives a chance to escape in such hard times. You and other members can get out of the house quickly and safely by using this fire equipment. Keep “Fire Drills” at home regularly. 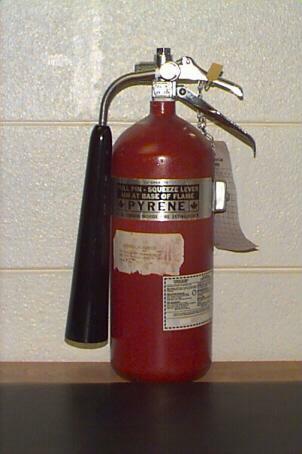 Fire Extinguisher help avoid accidental fire in the kitchens or homes. It extinguishes not only the fire but saves our invaluable lives also. Which types of fire detectives are suitable for building? .Modern smoke sensors or Gadgets:These smoke sensors or gadgets may be permanently installed in buildings for the early detection of fire. How to limit fire spread in home? .Fire fighting equipment: The suitable equipments for detecting, extinguishing, and warning of fire should be placed in the buildings. These equipments should be located at such places that they are easily accessible. Which are various fire fighting system for building ? .Automatic sprinkle system:This system consists of automatic sprinkles attached to a piping system containing water under pressure and connected to a water supply so that water discharges immediately from the sprinkles opened by a fire.